Ronald E. Delanois, M.D., is a board-certified, fellowship-trained orthopedic surgeon who has more than 20 years of experience with complex hip, knee and shoulder reconstructive surgery. He serves as the Jerome P. Reichmister, M.D. Endowed Chairman of Orthopedics for the Rubin Institute for Advanced Orthopedics, the division director of the Center for Joint Preservation and Replacement (CJPR), the director of Hip, Knee and Shoulder Surgery, and also the director of the Research Division and Research Fellowship Program. His emphasis is on diagnostic, arthroscopic and joint preserving procedures for the hip, knee and shoulder. He served 24 years in the United States Air Force; for eight years he was the division head of the Adult Reconstructive Service at the Naval Medical Center Portsmouth. Dr. Delanois and his team deliver advanced orthopedic solutions to patients who suffer from a multitude of joint aliments. He has performed thousands of arthroscopic and reconstructive procedures. He is involved with the latest cutting-edge technology that allows the patient to return to a full and active lifestyle in the shortest amount of time. Dr. Delanois believes in conservative management as a first line of defense whenever possible. 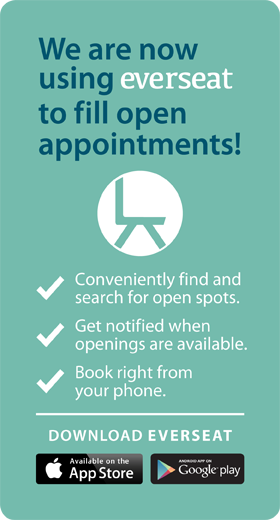 This involves educating patients and their families on nonsurgical as well as surgical techniques available, oral medication, injections and physical therapy. When surgery is indicated, Dr. Delanois believes in performing joint-preserving procedures first. This allows the patient a faster recovery as well as a quicker return to a normal life. He specializes in complex hip, knee and shoulder joint replacements. He is the director of hip, knee and shoulder surgery as well as the director of joint preservation. He received his fellowship training in hip and knee replacement surgery under the mentorship of Drs. Mont and Hungerford at The Johns Hopkins Medical Institutions. He is well published and is a reviewer for several orthopedics journals, including The Journal of Arthroplasty, The Journal of Bone and Joint Surgery and Clinical Orthopaedics and Related Research. He has mentored and taught more than 100 orthopedic residents in adult reconstructive surgery, and he was awarded the Outstanding Academic Teachers award by his residents. He obtained his medical degree from the Uniformed Services University of the Health Sciences (USUHS). He then did his orthopedic training in the Air Force at Wilford Hall Medical Center in San Antonio, Texas. Dr. Delanois currently holds an academic appointment at USUHS, Bethesda, as a clinical assistant professor of surgery. He is an active member in the Society of Military Orthopedic Surgeons. He sits on the American Academy of Orthopaedic Surgeons Political Action Committee, which represents orthopedic surgeons before members of Congress. 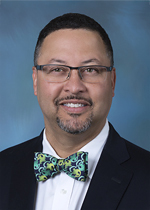 He serves on the board of the Maryland Orthopaedic Association and on the Board of Councilors for the American Academy of Orthopaedic Surgeons. Dr. Delanois is particularly interested in focal cartilage loss. In the hip, he employs the technique of hip arthroscopy for the diagnosis and treatment of hip pain. In the knee, he uses techniques such as high tibial osteotomies, unicompartmental knee replacements and cartilage transplantation. His current research interests include osteonecrosis, joint restoration techniques and the improvement of wear in hip and shoulder replacements. Click here to see a list of Dr. Delanois's peer-reviewed research articles. Dr. Delanois' area of experience is with complex hip, knee and shoulder reconstructive surgery. He specializes in the diagnostic, arthroscopic and joint restoration procedures for these joints. Dr. Delanois participates as a volunteer surgeon during mission trips to Haiti to help those with orthopedic problems. Dr. Delanois lives in Lutherville, Maryland, with his wife and their three children. He is an outdoor enthusiast and enjoys activities such as competitive cycling and aerobics. He is an avid collector of fine writing instruments and enjoys spending time with his family. In this WBAL-AM "Know Your Health" radio clip, Dr. Delanois discusses anterior hip replacement surgery. Click here to listen to Dr. Ronald Delanois on Ravens Gameday Injury Reports from 105.7 the Fan.